Santa is “making a list and checking it twice” to make sure he sees lots of boys and girls at the Walt Theatre on December 8, 2012. 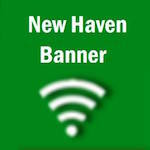 The doors open at 12:30 p.m.
For the past five years the New Haven Preservation Society has sponsored this time-honored tradition of “Santa at the Walt” in Downtown New Haven. This year is no exception and the event was special for children of yesteryear, as it is now. There is no charge for attending this historic event. Children must be accompanied by an adult. For further information please call 573-459-6633.